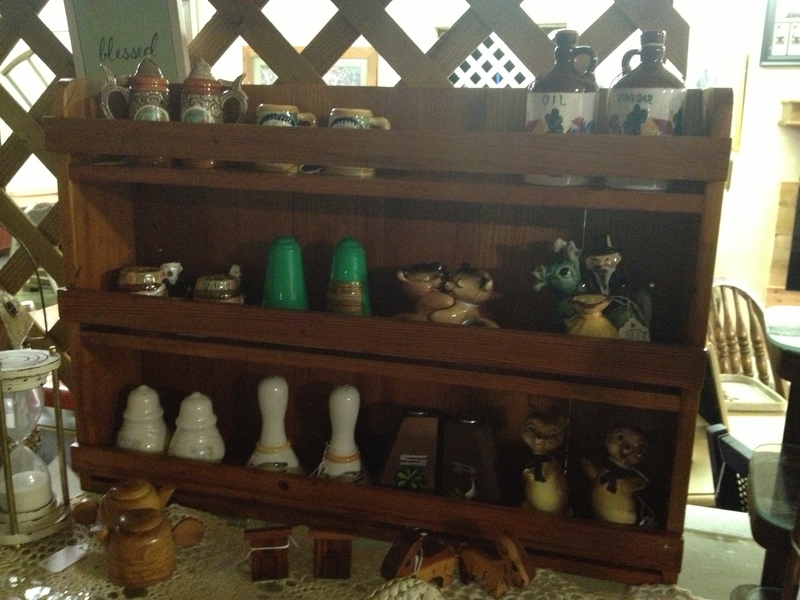 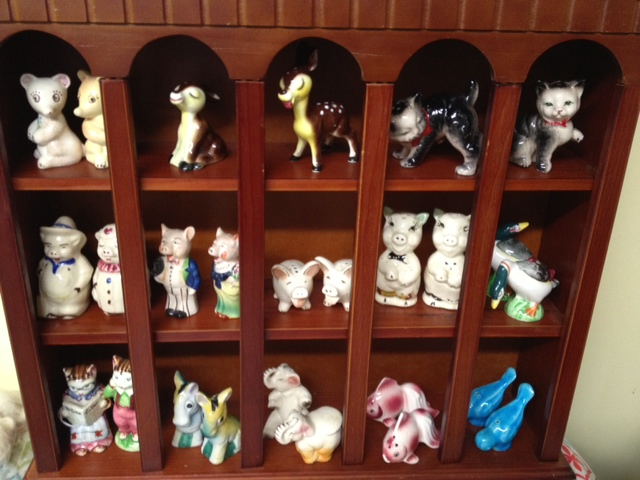 We have acquired a large collection of vintage salt and pepper shakers from 50’s and earlier. 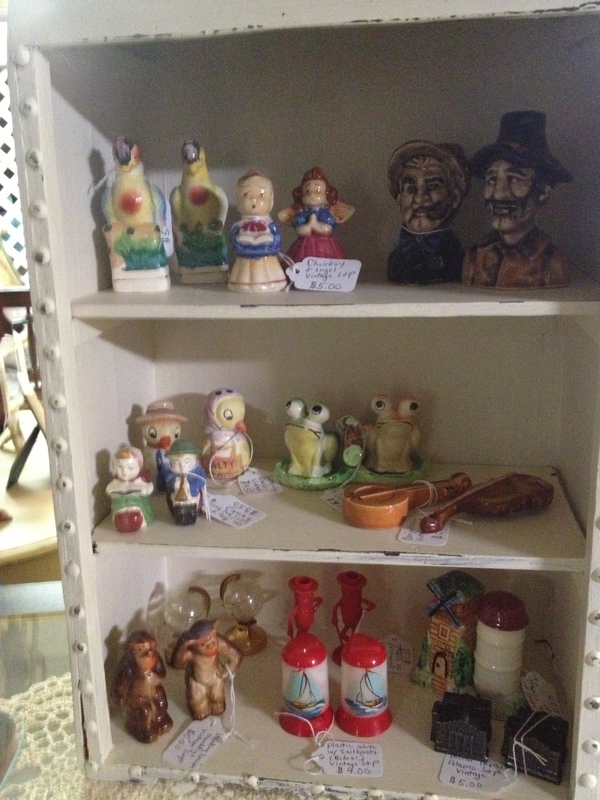 They came from an estate in Oakdale, Louisiana. 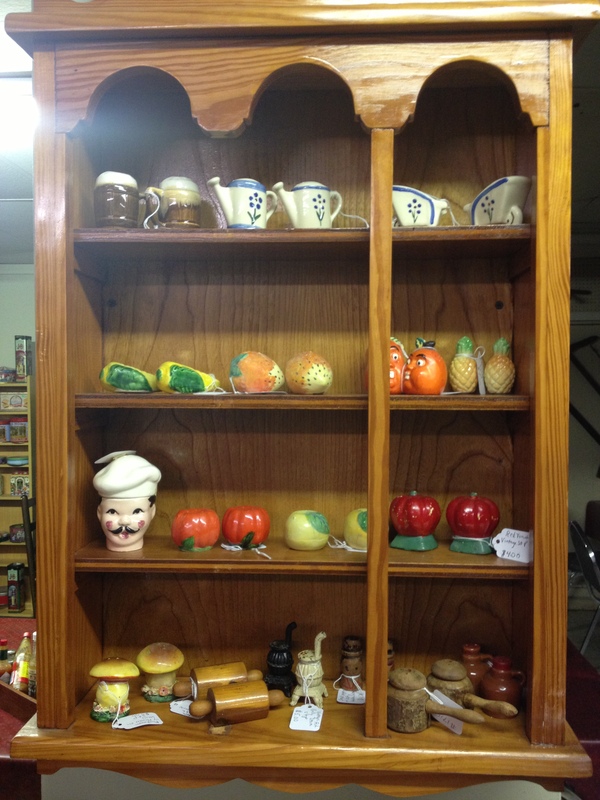 So much variety- animals, fruits and vegetables, characters, vintage items such as pot belly stoves and outhouses. 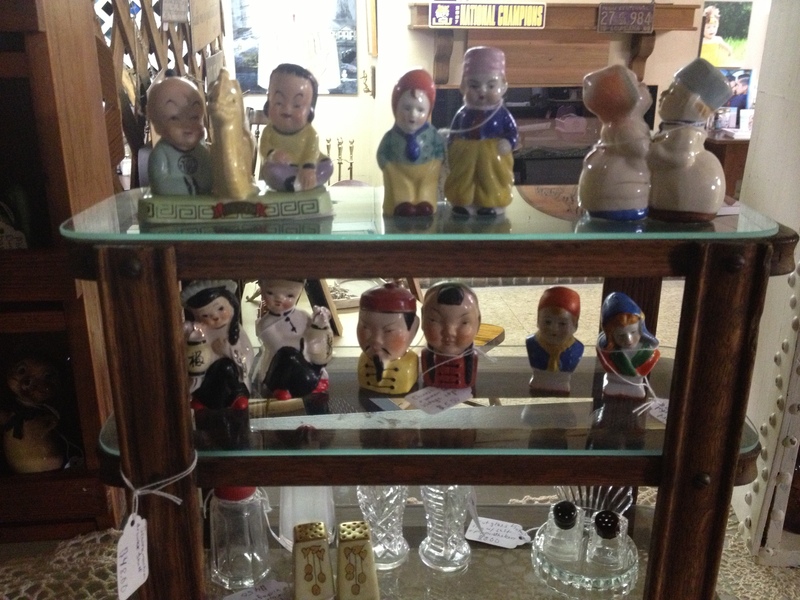 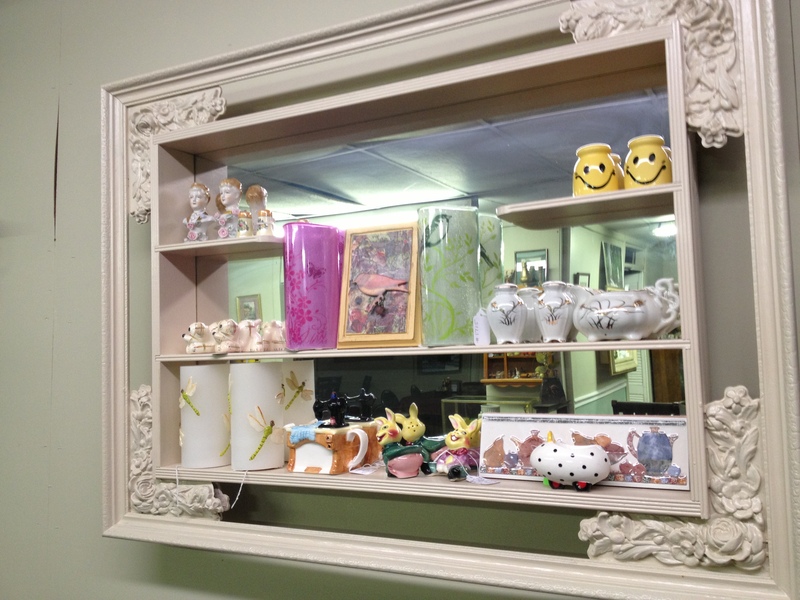 They are made from a variety of materials such as wood, porcelain, plastic, glass, and china. 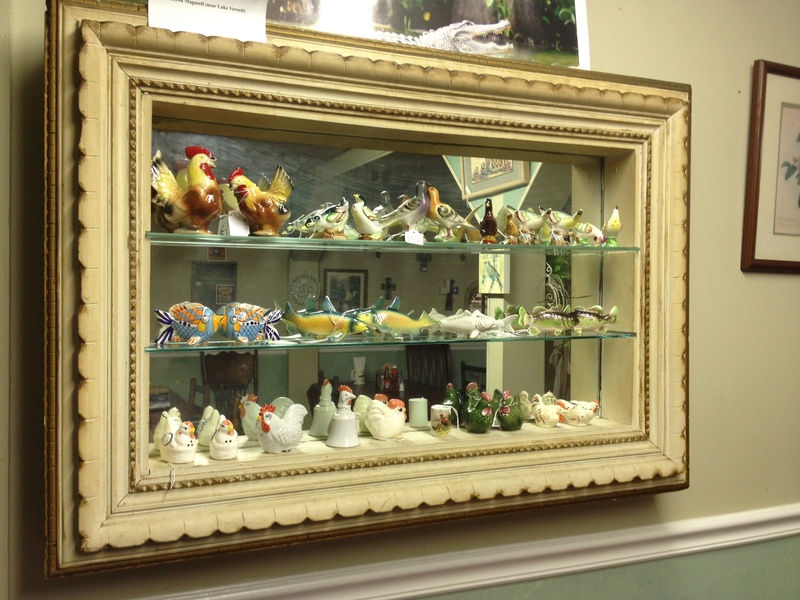 There is something for every collector and are priced very reasonably.